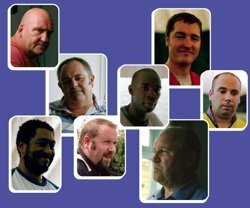 The first ever set of guidelines addressing the mental health needs of men and boys have been launched by the MHF and Mind. Commissioned by the National Mental Health Development Unit following Mind’s 2009 Get it off your Chest campaign and the Forum’s report Untold Problems, the new joint report Delivering Male aims to remedy the fact that there has been no national men’s mental health strategy to mirror the one established for women. The report provides in depth guidelines that have been developed through extensive consultation and offers good practice advice on areas such as developing appropriate services, dealing with stigma and supporting male inpatients. The scale of the challenge in men's mental health should not be underestimated. The Health & Social Care Information Centre 2009 household survey found that about 2.7 million men in England currently have a mental health problem like depression, anxiety or stress. Previous Mind research has found that 37% of men are feeling worried or low with the top three concerns being job security, work and money. Despite men and women experiencing mental health problems in roughly equal numbers, men are much less likely to be diagnosed and treated for it and the consequences of this can be fatal – the MHF has long highlighted that 75% of all suicides are by men. Paul Farmer, the CEO of Mind, added: 'Sadly, too many men wrongly believe that admitting mental distress makes them weak, and this kind of self stigma can prevent them from seeking help and ultimately can cost lives. Compounding this alarming situation though is the fact that often when men do reach out for help the appropriate support is not there for them. The report coincides with the publication of new data showing that the number of people spending time in an NHS mental health hospital increased for the first time in five years in 2009/10 - most of these are men.